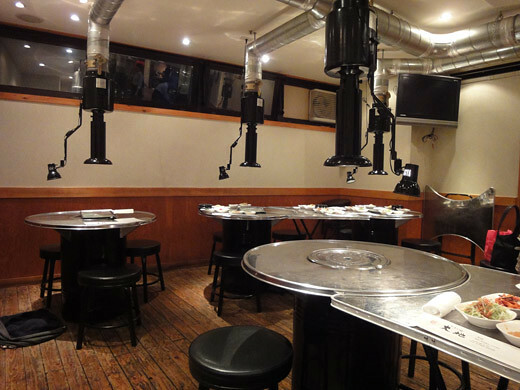 My friend and I went to a Korean restaurant, ‘Yasaimura daichi’ in Akasakamitsuke. 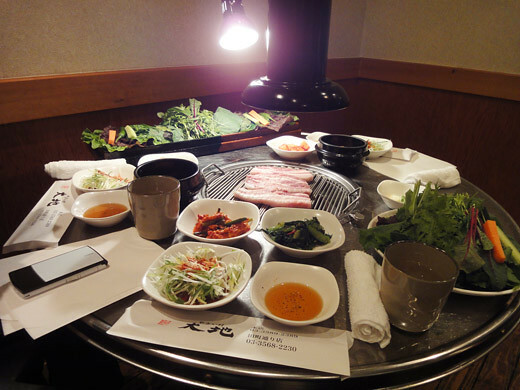 We had their special menu, ‘Samgyeopsal’ that is a kind of Korean BBQ. 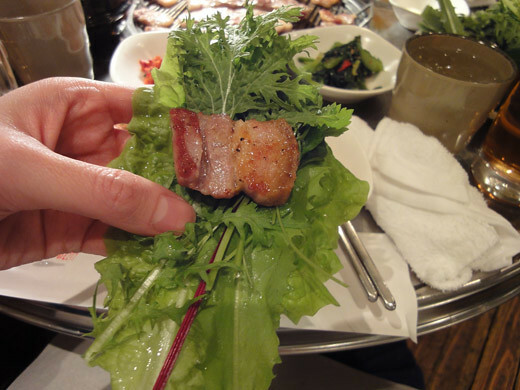 We grilled pork belly by ourselves at our table, and then, we wrapped the grilled pork belly with some leaves. We are able to have the a lot of kinds of leaves as much as we want. 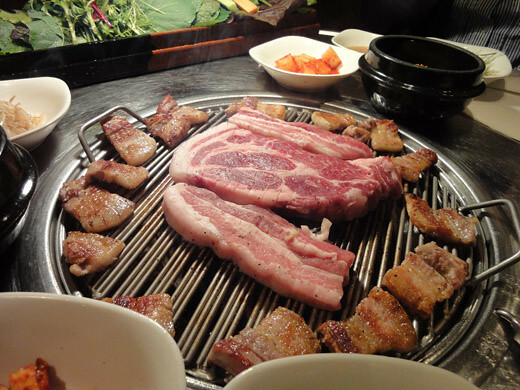 The Samgyeopsal is very popular food considered as healthy because the extra fat comes off on the griddle, and we have a lot of fresh leaves together. 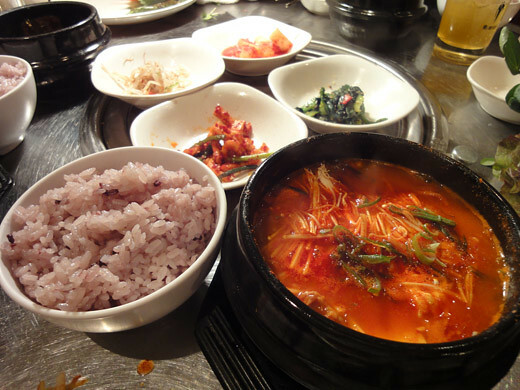 And, we had ‘a Chige-nabe’ that was a Korean kimuchi hotpot with some rice at the end that made us very full. We were very happy to have the very good healthy yummy food.